Eliminate all electronics when it comes down to a professional airless sprayer. 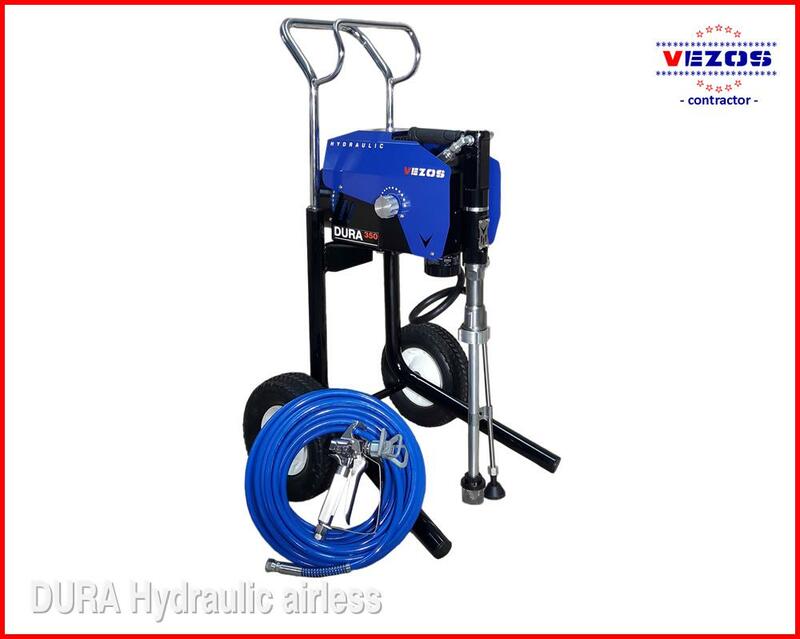 VEZOS new hydraulic mid range entry level sprayers, DURA LC offers housing & light commercial contractors a highly professional airless sprayer, featuring hydraulic & heavy duty technology in a small airless paint sprayer. DURA LC 350, is powered with a 1.5 hp electric motor, available in a stand or high cart version for 1 or 2 gun operation. DURA LC airless paint sprayers, are ideal for all types of internal and external paint coating applications. Due to VEZOS innovative hydraulic technology, it is now possible to get the maximum performance out of a small spray.